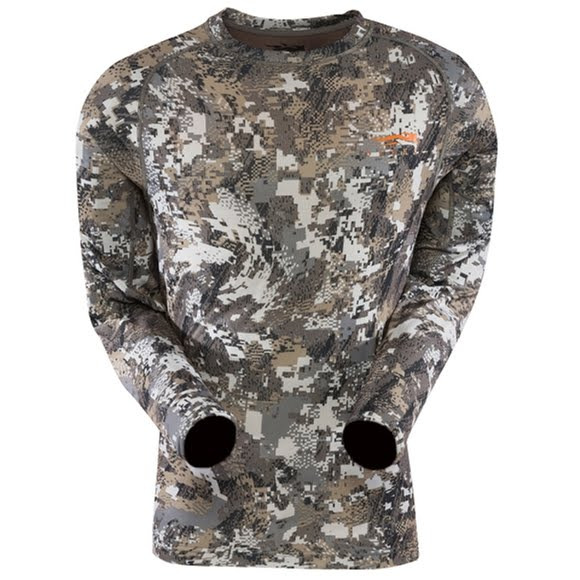 With long sleeves and a low-profile crewneck, the Sitka Gear Men's Core Lightweight Long Sleeve Crew wicks away moisture and keeps you concealed when you're burning the boot leather. Permanent Polygiene® Odor Control Technology neutralizes odor by stopping the growth of odor-causing bacteria and fungi. With long sleeves and a low-profile crewneck, the Sitka Gear Men&apos;s Core Lightweight Long Sleeve Crew wicks away moisture and keeps you concealed when you&apos;re burning the boot leather. Permanent Polygiene® Odor Control Technology neutralizes odor by stopping the growth of odor-causing bacteria and fungi. The CORE Lightweight Series is the next-to-skin foundation for your high-exertion system, breathing and actively moving moisture away from the skin with its polyester bi-component construction.